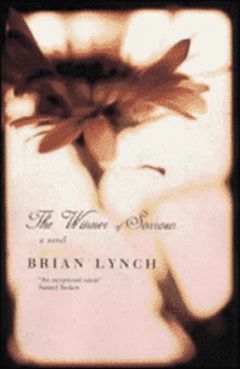 Brian Lynch’s novel The Winner of Sorrow (kindly sent to me as an ARC from Dalkey Archive Press) was originally published in 2005 in Ireland, and is now going to be released in the U.S. this coming February. It’s a fictional retelling of the life of William Cowper (pronounced Cooper), an eighteenth-century British poet. My studies in the field never took me very far into Cowper’s work, so I came to this novel ready to learn more about the poet and his times, which I did, and I also found a very enjoyable novel, all personal interest in the eighteenth century aside. Cowper doesn’t get read a lot today, but he was influential and popular in his time and afterward (Jane Austen quoted him in several novels) and in a lot of ways he’s a typically Romantic figure — the poetic genius suffering from depression and teetering on the edge of madness. In other ways, he’s not at all: he was a devout evanglical and wrote many hymns. He lived from 1731-1800 and so is solidly an eighteenth-century writer, but many of his interests and preoccupations were picked up by later Romantic writers (a love of nature and animals in particular). Lynch does a good job of squeezing an entire life into a novel that’s around 360 pages; he begins with Cowper as a old man suffering from insanity, and then he shifts back and forth between old Cowper and young Cowper, eventually settling into the story of the younger man and moving us forward in time. These shifts require some careful attention, and in fact the novel is full of jumps in time of various sorts without a whole lot of connecting material, but these jumps help you see connections among the various episodes in his life. In Lynch’s telling, Cowper’s life was shaped by a few important events, including the early death of his mother and his sexual impotence. In 1763 when he was 32, he had a mental breakdown, attempted suicide several times, and was sent to an asylum to recover. Afterwards, he settled with the Unwin family and spent much of the rest of his life with Mary Unwin, whose husband died early, leaving the two of them to form a socially suspicious alliance that never quite ended in marriage. Mary Unwin, according to Lynch, was a mix of the long-lost mother figure and the forbidden bride, a version of the cousin Cowper was once engaged to but couldn’t quite marry either. Unwin was fiercely loyal to Cowper, longing for a more passionate relationship with him but making do with the affection he was able to offer. She did her best to fend off the other women who were drawn to Cowper, including a Lady Anna Austen and Lady Hesketh, sister of the beloved cousin. There was clearly something powerfully attractive about Cowper, because in spite of his depressive tendencies and his complex relationships, he was surrounded by people who desperately wanted to be a part of his life. As you can see, Cowper is a psychoanalyst’s dream, but Lynch never beats you over the head with facile explanations or easy conclusions. He also recreates a feeling of the time without going overboard with period detail; this is historical fiction, but it doesn’t feel like a lot of the historical novels I’ve read that pack the detail in to make sure you smell every authentic smell. Rather, you get a sense of the time from the characters themselves — their thoughts and conversations and letters. You can tell that Lynch is a poet himself from the way the writing is spare and beautiful, capable of communicating so much in a small space. He leaves room for you to make connections and put ideas together. The novel tends to work through juxtaposition; its short chapters ask readers to situate themselves in the story again and again, without providing much to ease the transition into a new scene with new characters. This can be jarring, but it’s also exhilarating — this is a novel that asks something of the reader but has much to offer too. What a fascinating book – wonderful review, Dorothy! I’ll have to hope this comes out in the UK (although Dalkey books don’t seem to travel too far abroad, alas) as I love that kind of fictionalised recreation of an artist’s life. This books sounds very well done. Dalkey is such a wonderful publisher. Cowper seems a fascinating character. It is always an interesting and different experience getting biography through fiction rather than nonfiction. It seems like fiction allows the author to take some liberties and in some cases make a better assessment than if it were a straight up biography. Thanks for drawing our attention to this book. This sounds just like the kind of thing I love (artist’s life, 18th-century literature). I just checked and it is available from Amazon.co.uk and the Book Depository (where I order most of my books), so it is now on my wish list – along with over 100 other books. Thank you for sharing this — I love the Romantic poets. I’d heard of Cowper by name but didn’t know his story, so hopefully someday I’ll read Lynch’s book and get to know him better. I can relate so well to the overload you were describing in your previous post. When I start wandering book to book on the shelves, and cannot decide which one to commit to, then I know I’m on book overload and need to stop visiting the bookstores and websites for a bit. Glad to hear you had a good Thanksgiving, and your training is going well. So, how did Lynch handle the pet rabbit issue? This sounds wonderful, though I admit I might not have been drawn to it before reading your post (not knowing anything about Cowper). I think Dalkey Archive Press publishes some unusual types of books–I must check them out. In a way it sounds a little like the Sue Gee book I just read, which is also historical fiction, and was also treated with a light touch–just enough detail of the period to orient yourself without becoming cumbersome. Litlove — I was thinking of you when I said Cowper is a psychoanalyst’s dream because I’d love to read your analysis of his troubles! And thanks to Anna, I know the book is available in the UK! Stefanie — I don’t know enough about Cowper’s life to judge what Lynch has done with it, but he certainly has created a memorable character in a way it’s really hard for a biographer to do. I agree that fiction can allow an author to do some things a biographer can’t (although it has limitations too). Anna — I do hope you enjoy the book when you get there — and I know how it is to have a wish list that long! Debby — I’m glad to have some company when it comes to book overload, although I don’t wish the feeling on anybody! I haven’t always loved the romantic poets, but I do now (and their 18C predecessors), and Cowper definitely seems a writer worth pursuing. Danielle — you did make that Gee book sound appealing, and I’m interested that it treated historical detail in a similar manner to Lynch’s book. I enjoy long historical novels with lots of detail, but there’s something appealing about a simpler approach (or maybe it’s not simple, but more suggestive rather than detailed). Dorothy–I like both as well–Sarah Waters books are steeped in the period, but I also liked Gees approach, too. You got a sense of the period, but I like how you put it–it was more suggestive than anything else. The whole book had a simplicity to it that matched the tone of the story. I may have to get ahold of the Lynch book, too. Thanks for the link to the poem, a good one. The Romantics get a little too much credit for being innovators in their attention to nature. There are several decent short Cowper collections floating around now. His mock-epic “The Task” is worth reading in its entirety (a long section is about his sofa), and the short collections have to chop it up, but they all have plenty of fine poems. The short, late “The Castaway” is really an amazing poem. The Carcanet edition puts the rabbit on the cover (not to obsess on it(he said, obsessively)). This sounds fascinating. Cowper has always been more of a name associated with the period than a real person for me. Kind of like Southey, you know his name and association with Coleridge, but not much else. Your review of the book is an enlightening look at the man and his times. Now I’m really curious. Amateur Reader — I read The Castaway quickly but need to read it again — I can see that it’s a great poem. I’m curious about The Task too — I’m glad you think it’s worth reading. Jenclair — if you are interested in the times, I think you would definitely like the book. Other people from the time period appear now and then, which is fun, and you get a sense of the religious mood and also how people dealt with insanity at the time. Hmmm…interesting. Bob and I were just having a discussion with my mother about whether or not we like fictionalized accounts of real people’s lives. I like them best, I think, when they are about people with whom I’m not very familiar. This one definitely fits that bill.